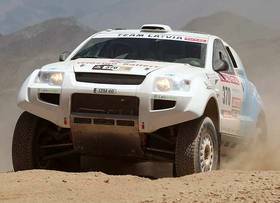 SA-Dakar Rally: OSCar eO becomes the first electric vehicle to finish Dakar. The Latvian built OSCar eO has become the first range-extended electric-drive vehicle to complete the Dakar rally. By being among them, OSCar eO demonstrated previously unseen capabilities and durability of electric drive technologies. 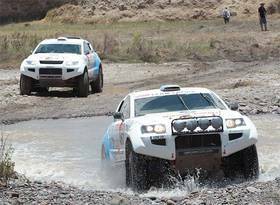 OSC built the world’s first electric-drive 4×4 off-road rally car in just 9 months leading up to the rally. It was based on the company’s well established OSCar contender with the new eO brand name denoting the revolutionary electric drivetrain. A series hybrid configuration was chosen as the most appropriate for the rally. A single 235 kW / 800 Nm permanent magnet electric motor was coupled directly to a 6-speed transmission which produced enough torque to negotiate the huge sand dunes as well as allowed a satisfactory maximum speed of 120 km/h on off-road terrain. A 60 kW range extender was in constant operation during the rally to maintain the charge level of the 52 kWh Li-ion battery pack from Winston Battery. Range extender’s petrol tank was sized at 240 litres, giving the overall autonomy of up to 1000 km. The team recorded 50% reduction in fuel consumption relative to the conventionally powered rally-raid cars. A significant contributor to this economy was the regenerative braking function of the electric motor, operated by a dedicated hand-lever in the cockpit. 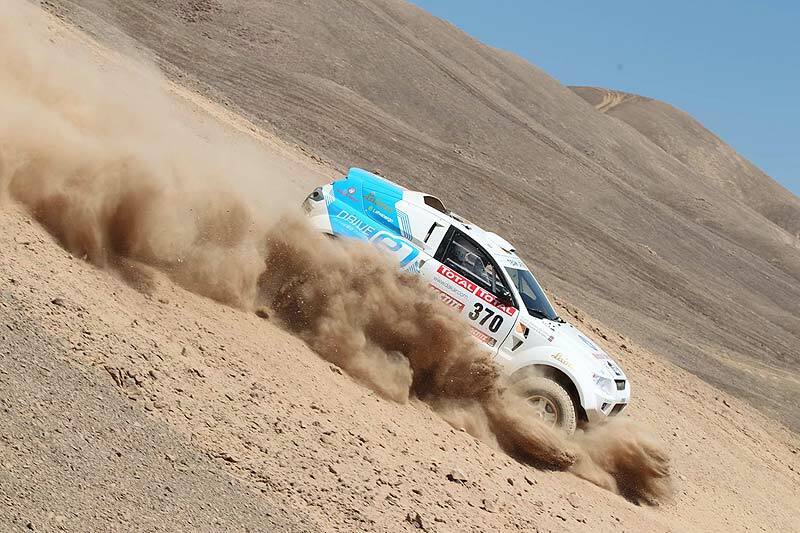 The eO team was thrilled to have completed the rally with no major electrical problems, despite the extensive and harsh loads and the ambient temperatures often in excess of +40C. The well-prepared and robust technologies allowed the crew to focus on the driving duties. Reaching the finish of each leg was indeed no mean feat as even the leading drivers noted that the organizers had laid out an exceptionally difficult route this year. 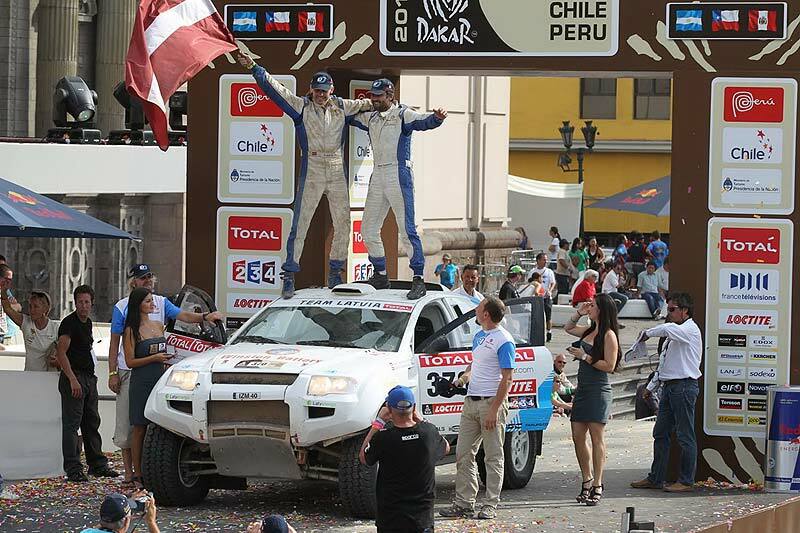 Finishing the last stage of the rally Maris Saukans, the project initiator and OSCar eO pilot, said: "This is a great achievement for the whole team and is likely to have implications of a global scale. 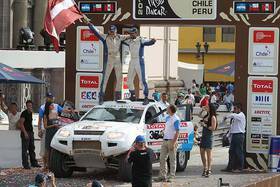 Motorsport has once again successfully demonstrated new applications of alternative energies and has identified new directions for development."